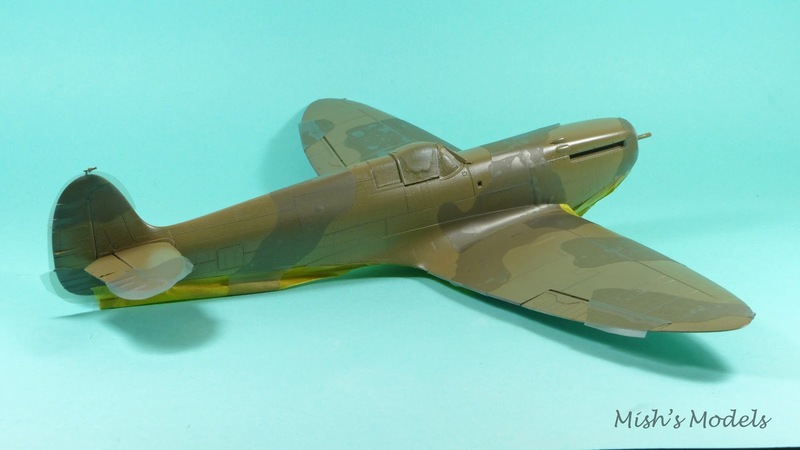 Up until my recent Spitfire build using Revell's 1:32 Spitfire Mk.IIa kit. I had never ventured into the world of masks. Why? I hear you ask. Well quite truthfully they scared me, in much the same way as using an airbrush used to scare me. I know it sounds silly doesn't it but some of us modeller are a bit apprehensive to try new products and techniques. So it was with some trepidation that when the owner of Top Notch Models approached me with a set of pre-production 1:32 masks and asked me to try them on my build. So come the day when I could no longer faff around any more and had to bite the bullet. The first job was to work out from the instructions and mask sheet what bit goes where on the kit. For the most part this was straight forward and got easier with the more parts I identified. There was a couple of masks that I couldn't work out there they went and a quick Skype call to the owner and designer soon put me right, apparently as I had a preproduction set the instructions were not yet complete and my input was noted and will be incorporated in the final instructions. So now I know what bit goes where it was time to start using them. I was surprised how easy they were to apply and all where generously cut oversize so you can manoeuvre and place the mask exactly where you want it. The masks are cut from Oramask 810s vinyl masking material and are easy to peal off the model and replace if you don't get them exactly in the right place first time. You can see that I have laid the masks over RAF Dark Earth that I have sprayed earlier and protected with a coat of Klear/Future. The trick to using the masks is to make sure the mask edges are well 'sealed' by rubbing a cotton bud along all the mask edges so that no paint can seep under the masks. 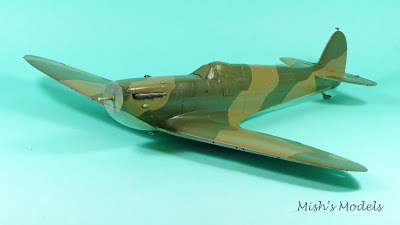 After spraying the RAF Dark Green the model looked like this. As you will see the masks have been removed and there is no paint bleed under the masks. Despite my initial trepidations, this has got to have been the most stress free and easiest method of applying camouflage to a model I have ever used. I'm really pleased with the results and I am now a big fan of masks for painting camouflage on aircraft. You might want to give it a try on your next build. After talking with the owner of Top Notch Models they are offering a generous 27% discount to all readers of of Mish's Models when they enter the code MISH15 at checkout.